In the first posting I made the argument that fractal art is a variety of automatism. Automatism being imagery that is created by an automatic, self-operating device. One doesn’t draw fractals, the fractal program draws them. The fractal program is the self-operating device or automaton (ie. automatic thing). Being an automatic thing, a fractal program is a machine. A machine is merely something that does something that isn’t a human being. So the distinction here is really between mechanical things and human things. Human things are conscious, have “life” and they think, are intelligent and imagine things. Machines are just assemblies of parts that work together – a system of active parts. To the user, a fractal program is parameter settings; variables that can be variously set. A fractal image is literally defined by its parameter settings. Reproduce the parameter settings and you reproduce, right down to the exact location and zoom level, the same image. So if you think about it, what can you, as a fractal artist, do but change the variable settings? Since a fractal image is defined by the values that go with it’s variables (parameters), a new fractal image is nothing more than a new combination and permutation of those preexisting variables. In fact, it is impossible to create anything with the fractal program that is not a permutation of the parameter values. Of course, there’s an awful lot of permutations possible with even a simple fractal program that has only ten or so parameter settings, so it’s not really a limitation from an artistic perspective. You can produce a lot of variety of imagery with even just a simple fractal program using just one formula and rendering option. This is of course what attracts artists like ourselves to fractal programs: they’re very creative. So you have a set of variables which together form the image we see. Altering any one of the variables can have unpredictable results on the appearance of the image although small changes to just a single variable tend to have progressive, and proportional effects that we can anticipate to some degree. Nevertheless, you can never be absolutely sure what a parameter change will do until you see the image that results. This is analogous to a biological organism’s appearance. An organism’s appearance, form, is determined by it’s genetic code. Variations between organisms of the same species are solely the result of alterations to the information contained in one or more genes. There are a distinct number of genes and each one has a value, so to speak, and so they’re just like the parameters of a fractal image. We could call the genes of an organism it’s parameters and the resulting “image” the appearance (state) of the organism. So when a fractal artist works with a fractal program, the altering of parameter settings is exactly analogous to the altering of genetic information in a biological organism. I said “exactly” analogous because it is exactly equivalent: both actions are performing the function of mutation. 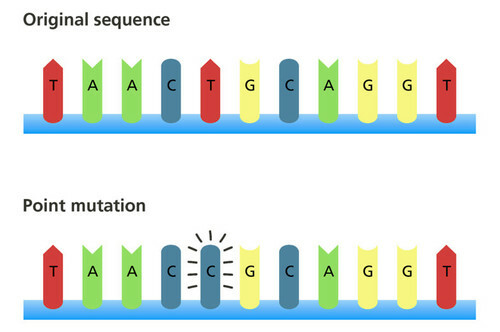 They are both “mutational” actions and activities. If I was Archimedes, I would jump up out of my bathtub and shout, “Eureka!” Mutation is the central function and core skill of what we all do. It’s the unifying thing. Anyhow. We say an organism has mutated, or been mutated, when a change occurs in it’s appearance (or physiological function) that is genetic. Biological researchers can actually make alterations to the genetic code for some genes for some organisms deliberately. They then develop the organism (render it) to see if it does anything worthwhile (or dies). In the same way fractalists change the setting for a single parameter in a fractal program and render the image to see what it does. Some parameter changes result in no image at all. The image “died” so to speak. So you can have non-viable mutations in biological organisms and in fractal images, as well. The essence of “mutation” as opposed to “creation” is in what you start with. Creation starts with nothing at all or with just common raw materials while mutation always (always, always) starts with a preexisting “creature” (something created). Biological researchers don’t spend their time creating new organisms and hoping that they live and do something useful; they alter a preexisting one to improve it’s appearance or function. Fractal artists also don’t create new fractal images, they alter a preexisting one in hopes of improving it’s function; it’s function being it’s aesthetic appearance. We ought to wear lab coats when using a fractal program. When have you ever made a fractal image from nothing? Even if you wrote your own formula, that is merely the mutation of the “formula gene”. Ultra Fractal is probably the most complex fractal program so it’s the best example to use to cover all the possibilities; one always has to load a formula as well as a rendering method, although the start up screen will load a basic one by default. But the automaton is not the formula, it’s the whole program and the formula is just another parameter to be set to initiate the automaton. You have to see that even with UF, the user just works with a long list of variables and alters their settings. Like I said, that’s all that’s in the parameter file and the parameter file is literally the DNA of the fractal image. I’m not the first person to make this observation or even this sort of analysis; maybe with fractals but not with automatic imagery. A number of computer artists arrived at the realization that their “creative” work was merely generating permutations of their programs of which all existed ahead of time as “potential images”. But what got me really excited about this mutationist concept for fractal art was that it linked another form of automatism to it by the same principle of mutation, or medium of mutation. Mutation is ultimately the medium. Photoshop filter “creations” also start with a preexisting image, a bitmap (jpg, photo) and through a series of transformations (gauntlet of visual virtual beatings) arrive at something viable or dead. The only difference with “filtering” (as I call it) is that the artist seems to have a great deal of discretion with regards to what effect to apply next as well as what settings to give it and whether to repeat it again or try something else. In short, it doesn’t look like an algorithm or a machine even, in the way that a fractal program with it’s nice neat set of menus and options does. However, I have often found myself arranging “syndromes” of filters to get a single effect in the same way a fractal program arranges “syndromes” of parameters to arrive at a single type of fractal imagery. Photoshop filter combinations are just modular algorithms and actually repeatable just like a fractal parameter file will “repeat” a previously produced image precisely. So a series of photoshop filter combinations is not conceptually any different than a series of fractal parameter combinations and both become an organism with a discrete genetic makeup which can then be mutated in a series of permutations of the “genetic information” to produce a variety of new images. Both kinds of artists, the filterist and the fractalist, work by mutating a preexisting image and not by creating anything substantially new. The function of the mutationist is characterized by trial and error alterations which can’t be predicted ahead of time but whose steps can be retraced afterwards to arrive at the exact same result. This retracing shows that the creativity is in the mechanism, the automaton and not in the artist’s personal style or method of using the machine. The artist “discovers” new things, and doesn’t create them. The program creates them. It’s like Columbus discovering the New World. We don’t credit Columbus with making the New World, just with discovering it. Thinking in terms of parameters, the surface of the Earth is a combination and permutation of spherical coordinates: latitude and longitude; East/West value and North/South value. I guess you could say that exploring the Earth is a binomial function. If anyone else sailed to the coordinates of the Bahamas (the first landfall) they too would have “discovered” it. All any explorer can do is summed up in all the permutations of latitude and longitude. Geometrically, all an explorer can do is visit a coordinate on the sphere of the Earth. Once all the coordinates have been visited then there’s nothing left to discover. Bear with me; Columbus was a mutationist. What he did was to speculate at the possibility of venturing to a new coordinate setting and then “rendered” it. Furthermore, Columbus was dissatisfied with the “rendered” results because it wasn’t India. However, he came to accept the arbitrariness of the “program” and worked with the Americas in a plan B sort of way to achieve his original goals of fame and fortune. But was Columbus creative? Is discovery a creative act? Is it creative to make “new” fractal images? that is, to render permutations of the parameters that haven’t been rendered yet? This is what this series of postings is all about. My answer is that it is creative, but that the creativity is entirely from the automaton, the fractal program. Discovery is a different kind of creative act just as in the sciences we speak of great discoveries and not great inventions. Dr. Mandelbrot discovered fractal geometry, he didn’t create it or invent it. That discovery was an awesome thing even though as we now know all about it, many people can retrace Mandelbrot’s steps just as many retraced Columbus’ steps and explored the rest of the New World. I don’t know if it helps fractal artists to see themselves as mutationists rather than artists. That is, artists in the sense of being imaginative and manually skillful like a painter or sculptor is. Those kind of artists create artwork and don’t perform the function of a mutationist. Frankly, I find the mutationist works of most fractal artists to be more interesting than the creative works of most painters and sculptors. (That’s why I spend my time doing things like this.) Fractal art doesn’t need to prop itself up with myths about creative artists using “drawing tools”. The world of mechanical creativity, automatism, is a very creative one and also one that is conceptually just as interesting. The next part, Part 3, deals with the issue of image editing and the mixing of manual creativity with automatic. Does layering, masking, image importing and other hand-directed interventions make the fractal art created with it substantially different, and more like the traditional plastic arts (hand formed) or are those additions just trivial or at best secondary embellishments to what is still primarily an art form that revolves around mechanical creativity? Is personal style relevant? Is it even possible? Style is the critical thing. Your arguments seem so odd. It seems to me that your arguments can be applied to anything and everything, and that nothing can ever be created, only discovered. So you can’t create a new element, because the elements you are working with have always been here, and you have simply ‘explored’ new combinations and ‘discovered’ a new combination? A new style of fractal is not new, even if it has never been seen before? Because you say it has always been there, but we have simply not explored enough to discover it yet? With that reasoning, I would think nothing new will ever be created. I’m not arguing with you, because I know you are utterly convinced that what you say is valid, and there’s no changing that. But I still wholeheartedly disagree with much of what you say. And I also comment to let you know that someone is reading this and cares enough to respond. So, if I’m interpreting this right, Mandelbrot is saying fractal art isn’t ‘invention’, ‘discovery’ or ‘creativity’. In the sciences one invents and discovers. In the arts one creates. But in fractal art, what happens isn’t like those three things. “Taste” refers to artistic sensibility or expression. Compare the Mandelbrot article with the nonsense in the “Fractal Art Manifesto”. Which one gets quoted more in the fractal art world? I imagine Mandelbrot made that statement well before the ensuing plethora of ‘popular’ fractal creation software that has come about. Mandelbulb 3D alone has almost 500 different formulas that can be combined in 6 different slots with various variables to adjust, along with lighting, coloring etc. With all the variables and possible formula combinations , I would dare say there are perhaps hundreds of millions, if not many billions of possible outcomes in different variable setting and formula combinations. Perhaps it’s not the ‘usual’ ‘invention’, ‘discovery’ and ‘creativity’ that is normally used in creating imagery. But I can’t accept that when we ‘choose’ a new combination of formulas with a certain range of variable settings that ‘create’ a new ‘style’ or unique shapes or forms, that it is not creating something. It’s something that would have never existed or be seen otherwise. You know, there are some concepts in art that take more than a few minutes to grasp. These last two postings comprise ideas that have absorbed, when added up, a couple hours of contemplation on a daily basis for the better part of a year for me. Concepts in art can be just as challenging as those in the maths and sciences.